Jukebox has just launched on iOS and lets you quickly pull any music you have saved in Dropbox into a rather neat-looking player for easy offline listening, all while promising to be both ad and cost-free forever. Eager Product Hunters are already helping the team work on new features, including suggesting private sharing, which would be particularly good if you want to share songs you’ve put together directly with certain people. Although there are other options out there, efforts to make these work well seem to have been all but been abandoned thanks to the rise of streaming. Obviously, only offering Dropbox integration is pretty limiting if you use other types of cloud storage, which is why an app like Evermusic exists, but it seems to be a hit with early users on Product Hunt. 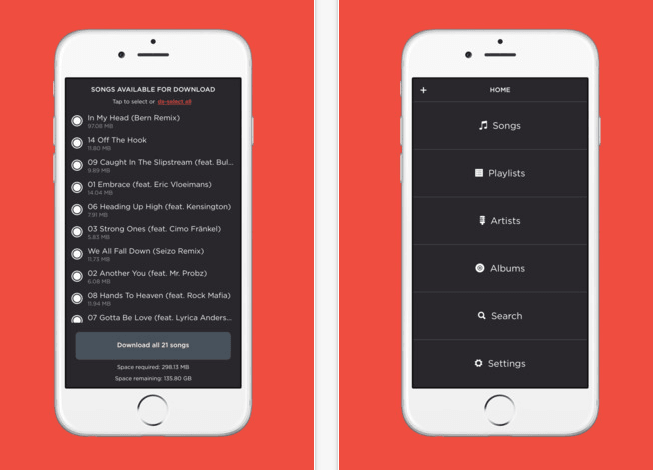 The app has been created by the team behind Reddit-style music website The Drop, where people can post and vote on dance music tracks. A key guy behind all of this is Justin Kan, the person who brought us the video-game watching platform Twitch, and who made himself famous by trying to livecast his life via the Justin.tv platform. Kan is also a partner at Y Combinator, which may give some indication of why the service can operate without ads or any cost to users.